We caught up with Kimberly Poppiti to discuss her book, A History of Equestrian Drama in the United States. Read on for our exclusive interview to find out what inspired Kimberly to write the book! 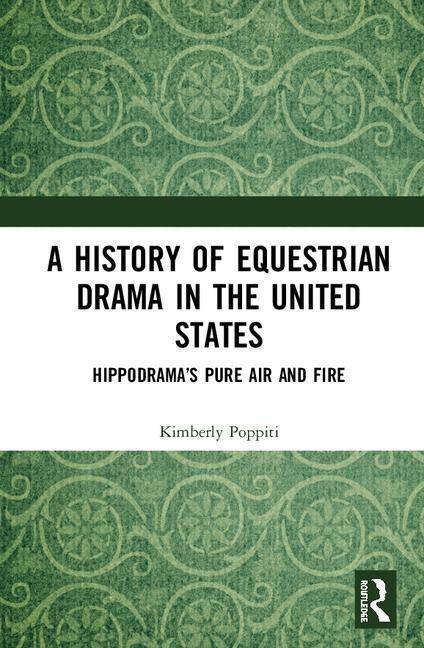 Kimberly Poppiti, PhD, MFA, is the author of A History of Equestrian Drama in the United States: Hippodrama’s Pure Air & Fire (Routledge, 2018).She has been studying and writing about horses and theatre for years. 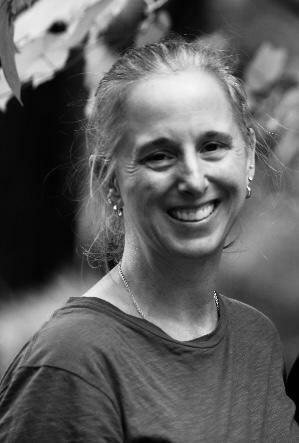 She has published numerous related articles and is a two-time winner of the USITT's Herbert D. Greggs Award (2018 and 2013) for her writing about theatre design and technology. She is also a recipient of the USITT's Greggs Merit Award (2007), for her article on theatrical appliances used in the production of equestrian drama. For over 20 years, she was a full-time professor at Dowling College, where she taught courses, directed plays, developed new scripts for production, and chaired the Department of Communication & Performing Arts. Kimberly is also a former professional and competitive equestrian. She currently works as a professor and as a writer. Congratulations on the publication of your book, A History of Equestrian Drama in the United States, what do you want your audience to take away from the book? I hope readers will take from the book an increased awareness of equestrian drama, and a greater understanding of its significance, both as a unique theatrical form and as a reflecting glass for the societies that produced and embraced it.I also hope readers will better understand equestrian drama in relation to the larger field of nineteenth century theatre, as well as within the fields of stage technology and design, and of animal studies. Finally, I hope readers will gain an increased appreciation for the significant roles played by the horse both in theatre and within the developing United States. Originally, I researched equestrian drama as a graduate student, because I was fascinated by the idea of “real” horses on the theatrical stage.After reading everything available on the subject, I still had many unanswered questions.This made me realize there was a need for further investigation of the form in order to provide the information I personally was looking for, and also, on a larger scale, to address gaps in the existing literature.This was the main reason that I wrote my doctoral dissertation about equestrian drama - I wanted to learn more. In researching and writing the dissertation, I found that I was particularly interested in uncovering the history of the form in the United States, as even less had been written on that than on the form in general prior to my work.Another driving motivation for the book (and one that proved to be exceptionally challenging) , was my desire to find and interpret the actual written scripts of equestrian dramas.These scripts were difficult to find and access, but doing so was necessary for the study. Another necessary component of my research involved the stage design and technology developed for the production of equestrian drama (including turntable stages, moving onstage treadmills, and moving backgrounds).These technologies were perfected and patented for use in equestrian drama and contributed to the popularity of new forms of equestrian drama that delighted audiences in the late nineteenth through early twentieth centuries. The technology and design that enabled the illusion of movement at speed across distance in real time onstage with horses, in a way, presaged the coming of film, as the designers sought to present “moving pictures” onstage.Elements of these designs and technologies remain in use in contemporary theatre. All of these aspects of equestrian drama fascinated me.These, combined with my frustration at the lack of existing literature to answer the questions my initial research raised, inspired me to write the book. What first attracted you to Equestrian Drama as an area of study? I have a scholarly and personal interest in both theatre and horses; this intersection attracted me to the study of equestrian drama.As an undergraduate, I was studying theatre performance, while at the same time working professionally riding and training horses. Prior to that, I had been a nationally-ranked competitive equestrian, competing regularly and training many hours a day.I realized that equestrian drama allowed me to combine my two interests – theatre and horses!I began researching equestrian drama in earnest while working toward my PhD, and ultimately made it the focus of my doctoral dissertation at New York University.Later, I wrote numerous articles on the subject as well.I found that the topic appealed, not only to scholars and students in the field, but also to more mainstream audiences and casual readers interested in learning more about the connections between theatre and horses. I hold both a PhD and an MFA.My PhD is from New York University, in Educational Theatre; my MFA is from Stony Brook University, in Dramaturgy.My undergraduate studies concentrated on the Liberal Arts and Theatre Performance. What do you think are your most significant research accomplishments? The book, A History of Equestrian Drama in the United States: Hippodrama’s Pure Air & Fire, is definitely at the top of my list! Aside from this, my most significant research accomplishments include the research for which I received the Herbert D. Greggs Award in 2018 (for my article on the turntable stage used in Hamilton) and 2013 (for my article on the puppetry and design of the horse characters in War Horse), as well as receiving the Greggs Merit Award in 2007 (for my article on the stage machinery designed and used to produce equestrian drama). What advice would you give to an aspiring researcher in your field? Persevere in your research and writing; keep working even if the progress seems slow.I had been planning to write my book since completing my dissertation and studies at NYU. I spent over ten years after graduation thinking about the book while working on other projects, but never quite getting to it.I did however get a big box, which I kept in my office for the collection of clippings, articles, references, and little notes written to myself, all of which were relevant to the project and collected in anticipation of eventually writing the book. During this time, I also wrote numerous articles, always planning to incorporate the new research into the book when the time came.I also planned to take a sabbatical from teaching in order to work on the project full-time, but since I was chairing my department and directing shows regularly, the time never seemed right.Finally, I got the opportunity to focus on the book.This occurred unexpectedly, when Dowling College, the school where I taught, closed (becoming one of the first small colleges in the US to do so).That was the push I needed.I asked some colleagues and editors for suggestions on finding a publisher and, based on their advice, decided to send the proposal to Routledge.It was accepted and I set to work.Now that it has been published and the project is effectively “finished,” I am working on a new proposal, which I hope to present to Routledge soon. In this case, I’m hoping to take my own advice and persevere with the new project until it’s realized. *Please note this offer cannot be used in conjunction with any other offer or discount and only applies to books purchased directly via our website. Offer ends 21st March 2019.